Covenant Presbyterian Church gathers for worship regularly at 10:00 a.m. on Sunday mornings. The public worship of God is the central act of the church. Through hymns and anthems, the reading and interpretation of the Scriptures, prayers, sermons, and the sacraments we celebrate God’s goodness and seek to understand God’s challenge to us both individually and corporately. As the worship service closes, we are sent out into the world to serve in a variety of ways, using the multitude of gifts God has given us. The Sacrament of Holy Communion is served on all of the feast and festival days (Christmas, Baptism of the Lord, Transfiguration, Maundy Thursday, Easter, Pentecost, Trinity, World Communion, All Saints, Reign of Christ) as well as the six Sundays during Lent, the four Sundays of Advent, and once a month on the first Sunday of the month. 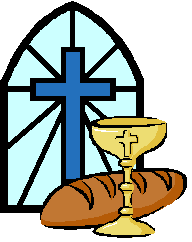 On most occasions we receive communion by intinction which means that worshipers are invited to break a piece of bread from the loaf and dip the bread in the chalice as we “feed upon Christ in our hearts and are strengthened” for the work to which God calls us. Presbyterians believe in an open table, at which all Christians are welcome. Children who have instruction in the meaning of communion and the permission of their parents may participate in the sacrament. The Sacrament of Baptism is administered in a public worship service to the children of members. Adults may also receive baptism when joining the church and professing faith for the first time. Those wishing to be baptized should make an appointment with the Pastor to talk about the meaning of baptism. Baptism may be celebrated on any Sunday of the year except Sundays during Lent. 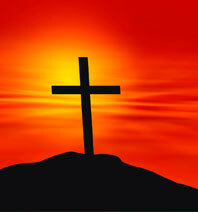 In our tradition, the funeral/memorial service is called A Service of Giving Witness to the Resurrection. It is a reminder that for Christians this worship service is an opportunity to give thanks to God for the gift of life, to stand with particular families in their grief, and to give witness to our resurrection faith. Members may wish to schedule an appointment with the Pastor to discuss their wishes at the time of death.